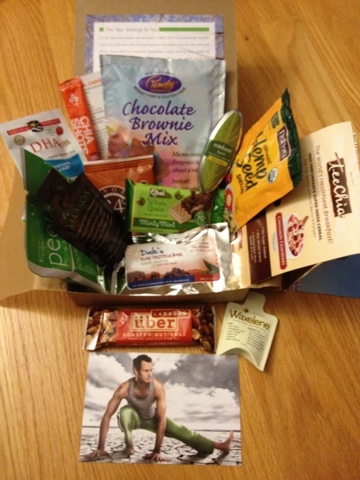 I got another ConsciousBox this month! 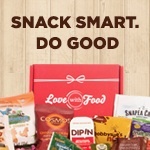 I couldn't help myself as I loved the products in my previous two Classic boxes and really enjoy discovering new snacks! They also offer Vegan and Gluten-free boxes. For a very limited time, Plum District is offering a 3 month subscription for $29. (Valued at $56) Since I normally pay $20 a month, this is a fantastic deal!! I'm hoping they don't shortchange the boxes that use this deal, but overall, I've been quite pleased with the goodies in here. 34 Degrees- thin crispy crackers. I literally ate them in less than a minute! Chia Shots- a single serving of Chia Seeds that is perfect for your purse or lunch bag. I added this to my oatmeal today. Yum! Did you know? Chia seeds are one of the richest plant-based sources of omega-3, dietary fiber, protein, and antioxidants. LARABAR -this Uber delicious and nutty bar was great for a mid-afternoon snack. It was a bit chewier for my taste but still good! Pamela’s Products - I have'nt tried yet but I'm excited to make some wheat-free, gluten-free brownies this weekend! Q.Bel - First product I tried from the box, these mint wafers are chocolate covered so you almost forget that you're eating a healthy treat! Can't wait to get more. Teeccino This super cereal, Teechia, combines chia, quinoa, amaranth, ramon, and pumpkin seeds! Tea Forte - a tin of mints, I've actualy tried this before and love it! There's enough in here to last a while so it is amazing. Drop the old petroleum jelly and go with something more natural. Organic Soy oil, Beeswax, natural vitamin E, and organic rosemary oil makes this a healthy, nourishing moisturizer and base for everything from dry skin to make up. No petroleum, not greasy, completely biodegradable and free of animal testing. Peeled Snacks - I inhaled these apple clusters in no time! It's got 1 serving of fruit and it's 100% organic. Delicious fiber snack that beats a bag of chips any day! Dale’s Raw Protein Bar - Looking to intake more protein? I haven't tried this yet either but will be saving it for my next post-workout snack! MAAKOA -Koopuwa is a super antioxidant blend of delicious flavors from Cupuaçu, Acai, red grape, pomegranate, and more berry berry goodness! Will be adding this to my next smoothie. Nutiva Hemp Seed - Haven't had this yet but I'm planning on adding hemp seeds (has a real nutty flavor) to my next oatmeal breakfast. These seeds are 33% protein and lots of omegas so it's perfect to sprinkle on your next meal. BONUS! Nordic Naturals - Fish oil capsules. I've never tried before but I'm intrigued by the omega-3 and omega-9 oils.